This board was first to come onto the retail market among boards designed for AMD Athlon FX. Most likely it doesn't belong to the new ASUS line as it doesn't contain most of the new technologies that the other boards have. 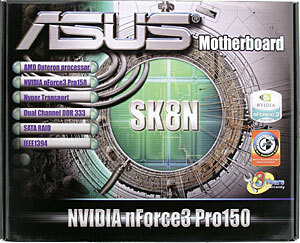 The board was created in collaboration with NVIDIA an AMD and meant for running in new processors, and it was at the beginning of 2003. 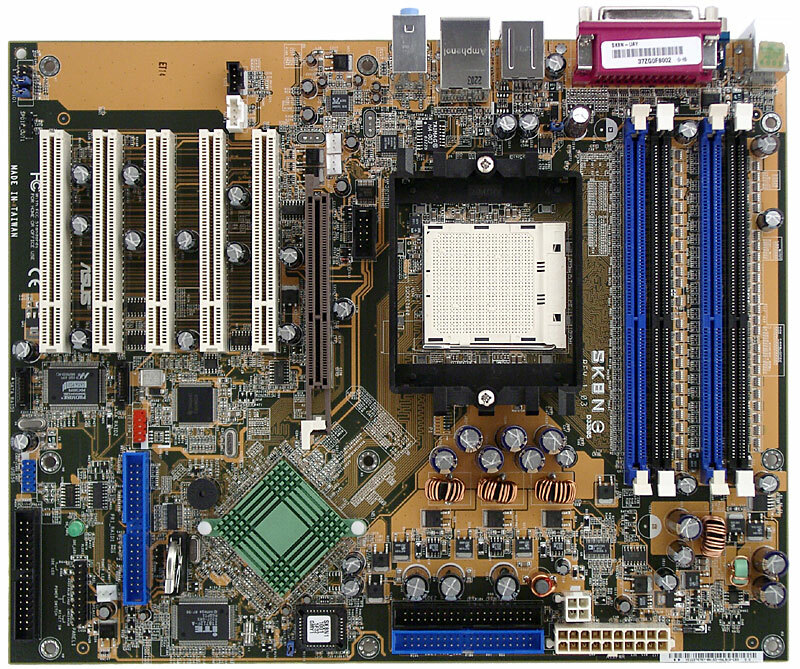 The layout looks a bit strange: the only nForce3 Pro 150 chip is located behind the PCI slots and the CPU socket and memory slots are turned at 90°; besides, a part of the PCB in front of the PCI slots is free of any components. But it doesn't make any problems in assembling the system. Only the audio-in and IDE RAID cables can make it difficult to insert expansion cards. Moreover, the FDD connector is located near the left edge, and in big PC cases its cable may not reach the floppy drive. It can be difficult to reach some jumpers when the board is already installed. Their functions are not indicated on the PCB. +5 V StandBy is indicated with the green LED. The 3-phase switching voltage regulator incorporates 6 capacitors of 3300 uF and 3 of 1200 uF. There are also voltage regulators of the AGP bus (2 1000 uF and several less capacious ones) and of the memory (3 of 3300 uF, reinforced with L elements). 3 connectors for fans (with rotation control). FireWire based on Texas Instruments TSB43AB22A chip, 2 ports supported. General performance: Very good (see details). The scores are not record-breaking (for the integrated graphics) but they look very good. ASUS MyLogo2 (displays your own screensavers while the system is booting). We used the BIOS 1004 as the latest available version. The BIOS features listed above are available in this firmware version, nonstandard functions weren't tested.